The Prime Minister is sacked. Long live the Prime Minister. Since mankind migrated “Out of Africa” more than 100,000 years ago, small bands, tribal groups and populations have been driven out of their homelands by war or famine. Their fate has either been absorption into a host culture or they have forged their own culture onto resisting indigenous inhabitants. The Boer Great Trek in southern Africa between 1835-1840. The Boers were driven north to form the Orange Free State and the Transvaal, in all some 25,000 were involved. The Trail of Tears – North America. Between 1830-1840 over 100,000 Red Indians were forced off their lands by the United States Government to make way for new settlers. Indian Migration in the British Empire between 1834-1947. Movements of indentured Indian labour following the abolition of slavery, in millions were – Malaya 1.75, Burma 1.16, Ceylon 2.3, Africa 0.19. During the partition of India in 1947, some 6.5 million Hindus fled from Pakistan and around 7 million Muslims fled from India. The Armenian Genocide and Migration. Over 80,000 Armenians fled to the United States following Turkish genocide between 1894-1896. Another great wave of migration followed the 1915-1922 Ottoman slaughter of some 1.4 million Armenians. Second World War and Aftermath – 1939-1972. Europe was unstable for many years after WWII. Nazi Germany had conscripted millions of Eastern Europeans into their war effort while millions of Ukrainian Slavs were displaced. Finally, when the Soviet armies advanced over Europe millions of Slavs and Eastern Europeans fled westward, never to return to their homes. In 1989, the Civil War in Greece generated by Russian ambition created 700,000 Greek refugees. From the 1950s onwards, thousands of West Indians, Indians and Pakistanis migrated to Britain. Germany encouraged thousands of Turkish “guest workers” and France encouraged the migration of thousands of Africans. All these immigrant movements are now leading to increasing civil tension. In 1994, the Ruanda civil war between Hutu and Tutsi, resulted in 1.75 million refugees destabilising much of Central Africa. In volume and complexity, the current refugee/asylum seeker assault on Western Europe is on a par with the great people movements after WWII. However, there is one fundamental difference– the vast majority are Muslim which will have a long term effect on the Christian character of Europe. The basic facts on the current waves of refugees from Africa and the Middle East are provided by Amnesty International (4 Sept. 2015). Currently there are around 4 million displaced Syrians. Over 95% are supported in camps (in millions): in Lebanon – 1.2; Jordan – 0.65; Turkey – 1.9; Egypt – 0.13; Iraq – 0.25. Also, within Iraq there are 3 million internally displaced persons (IDP). 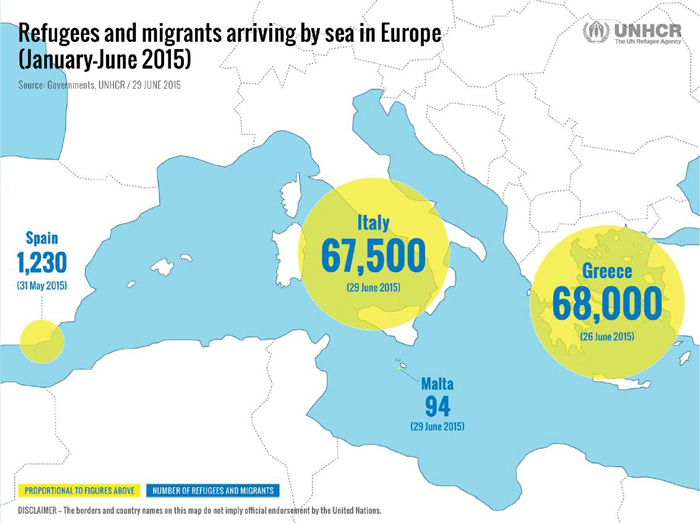 The UNHCR (18 June, 2015) states 219,000 Mediterranean crossings have been undertaken. Since the commencement of the refugee crisis following American Middle East ‘adventures’, only 104,000 resettlement places have been offered globally while over 400,000 Syrians require immediate resettlement. According to The Guardian (30 July 2015), Germany is expecting 450,000 refugees in 2015 and so far this year, 180,000 have applied for asylum. The Gulf States, Qatar, UAE, Saudi Arabia and Kuwait refuse to accept refugees. Russia, Japan, Singapore and South Korea refuse to accept refugees. 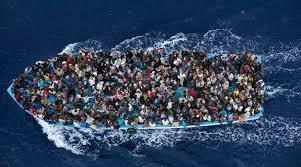 Germany will resettle 350,000 in 2015 (75% of EU total), a later figure of 800,000 has been quoted. The German decision may prove to be farsighted as this intake will provide labour for future German industry. Germany and Sweden have received 47% (of EU intake) of Syrian refugees between 2011 and July 2015. Remaining EU countries have pledged 8,700 resettlement places – 0.2% of Syrian refugees. Australia has committed to resettle 12,000 refugees. For Western Europe and the United Nations, the great international problem is to impose stability and rule of law, not democracy, on rogue states that are exporting refugees. Resettled adult refugees will become good industrious citizens, however, young marginalised offspring will become a next generation problem – trawling grounds for a future terrorist organisation. Penultimately, where in the world do two totally different faiths peacefully co-exist inside the same national boundary? Hidden from the radar of the chattering classes is the continuing refugee tragedy in central Africa. The Central African Republic is embroiled in the old chestnut of the Christian-Muslim antagonism. 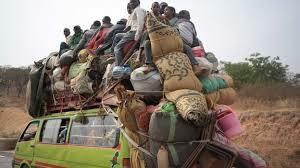 Since December 2013 more than 930,000 have been displaced and have fled to Cameroon, Chad, Congo and Democratic Congo Republic (UNHCR Operation Profile, CAR, January, 2015). An ultimate looming threat is that climate change may cause further instability in the Sahal and the Middle East. There is a long term rocky road ahead. The mega picture is that by end of 2014 there were 59.5 million people forcibly displaced from their homes and are now asylum seekers, refugees and IDPs. In 2014 13.9 million people became newly displaced and the situation is worsening (UNHCR, Worldwide Displacement, 18 June, 2015). In 1961, Bertrand Russell wrote ‘Has Man a Future?’ This was followed up by ‘Civilised Man’s Eight Deadly Sins’ written by Konrad Lorenz in 1974. The question must be asked but will not be answered – has the United Nations lost the ability to save humanity from itself? The Western Democracies may be witnessing the rise of a totally modern unstable democratic system. The current democratic model has probably reached a tipping point where now perhaps over 50% of the “western” populations are feeling economic and social pain. The first of the new political leaders are Jeremy Corben – Labour, UK and Bernie Sanders, Democrate Presidential aspirant, USA. Corben was elected leader due to his appeal to the bottom half of Britain’s economic pile. His appeal to the masses is, in part, based on ending austerity, imposing rent controls and nationalising rail and power. Sanders has sent a clear message that he wishes to halt the 40 year decline in the American middle class, decrease the gap between the very rich and everyone else, provide a living wage and distance politics from the billionaire class. It has been reported that the American dream is fading, housing is becoming unaffordable in Australia for young home-buyers and workers can no longer afford to live in London. These numbers are increasing. Within the western democracies whole industries, driven by the wealthy, fleece the poor with payday loans and hire purchase/leasing agreements. On Social Europe website Dr. Simon Hix, London School of Economics (17 Sept., 2015) has provided informed insight into the relevance of Jeremy Corben. He has mobilised young people and the expanding lower income population, key issues of the deprived have been clearly annunciated and he has mobilised the latent aversion towards the political establishment. In short, he has tapped into the anger of rising inequality. Politicians in Australia and America should commence some serious introspection. 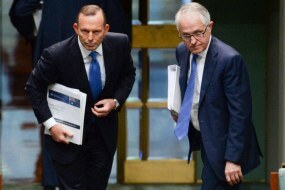 Much has been made of five Australian Prime Ministers in five years. Reasons have been advanced for this merry-go-round. A contributory factor may be the electorate is becoming increasingly angry with irrefutable evidence of rising inequality that is difficult to annunciate in political terms and banal reporting. Within democratic systems today, politicians should be well aware that home owners voting for stable government may well be verging towards a minority while the disaffected and those suffering economic stress, deprivation and fading aspirations are in the ascendent. The days of the cosy Government-Capital relationship are coming to an end. The political-economic model spawned by the Industrial Revolution is losing relevance. The verbiage associated with the demise of Prime Minister Abbott and the ascension of Prime Minister Turnbull is nauseating. When the Chief Executive of a major corporate under performs he/she is sacked with minimum fanfare before inflicting further damage on the company. When the Chief Executive of Australia Com. is removed for under performance, the ether is filled with epithets on loyalty, disloyalty, merit, talent, back stabbing and the spoils of power, while the term ‘brutal’ resounds as if from a many headed hydra. Australia needs competent executives focused on results not numbers. In reality the process was a crass exhibition of cabals seeking power (for the most honourable public motives) while discredited cabals sought to retain power, prestige and entitlements irrespective of poor performance. A nightly press unable to discuss serious issues facing Australia and a salacious audience ensures low standards. Australia cannot be a great democracy unless the level of debate is raised. 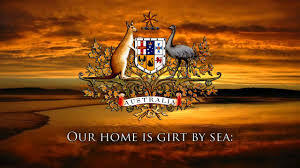 In the last days of September, Mr Abbott proved he is only a politician and unfit for the position of CEO Australia Com. He spoke of his lost chance of winning the next election; despite poor polls, he did not speak of increasing Australia’s export income or of running a profitable Australia, concepts critical to the wellbeing of Australians. He is condemned by his own words. The bull bar and winch wrere stolen from my truck while parked at Scone railway station. Police and garage mechanics have expressed total amazement at this act of vandalism- fortunately an insurance job. To rub salt into my insurance company claims it has been established the hail storm last month so damaged the iron roof and the weather side of the house that both will have to be replaced. The hail storm in the Murrurundi locality has produced damage running into hundreds of thousands of dollars – hail stones were the size of cricket balls. What is concerning is that storm cells producing large hail are very violent. 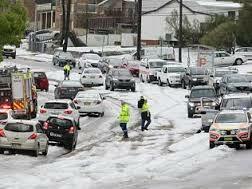 A few days ago the Central Coast suffered a devastating hailstorm, so heavy t looked like snow. All this and it is not yet the summer thunder storm season. At some stage we all will experience a very serious weather problem. Central Coast Hail Storm. (17 Sept.2015.